Follow the lucky Leprechaun through the Irish Luck video Slots, to find your pot of gold. This magical 5 reels game is bursting with Wild Clovers, Leprechaun & Fairy Scatters and Prize Pick bonus, Match and Win and Gamble Features! Grab your lucky charms and spin through Irish Luck video Slots at Vegas Spins, to hunt down your own pot of gold! 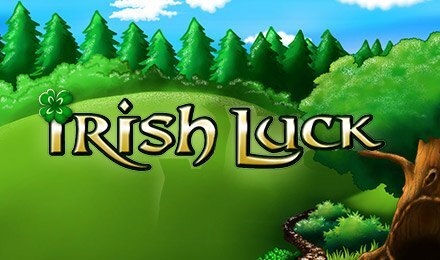 This Irish folklore-themed slot game offers 5 reels and 25 pay-lines of fairy-blasting magic. Follow the lucky leprechaun through the enchanting forest and spin past magical fairies, tree trunks filled with gold, pots of gold, rainbows, enchanting castles and even Irish Guinness mug. If you stumble across the mysterious Wild Leaf Clover, this will double your wins. If 3 of more Leprechaun Scatters fly onto the reels this triggers the Prize Pick bonus feature and can multiply your bets x 100. If 3 or over and Fairy Scatters fly onto the game this activates the Match and Win Feature which can multiply your credits by 100. If you uncover the Gamble Feature, you can also try your luck to win up to 3,000,000 credits, and hopefully find your own lucky pot of gold at the end of the rainbow!